The delicious snacks of Disneyland and other Disney Resorts are a must-have when you’re at the Parks, but what if you can’t make it? What if you want a Dole Whip right now? We can help you take care of that, and more, with today’s list of Disney foods you can make at home! 1. 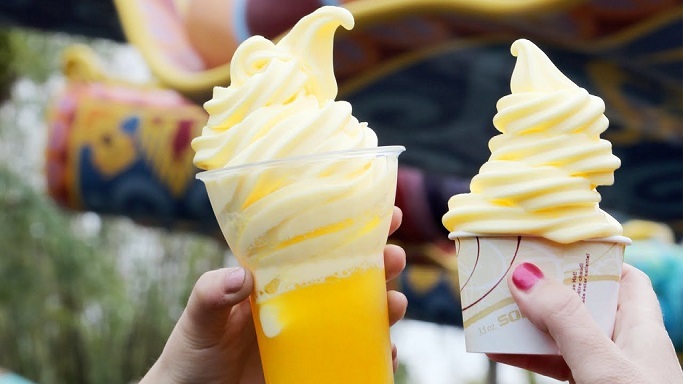 Dole Whips - If you’ve ever been to the Parks, you know what an awesome treat the Dole Whips are. They’re easily one of the most popular items, in fact, we’ve had many customers jokingly request that we include Dole Whips in our Snack boxes! this recipe from Lil’ Luna to make delicious Dole Whips at home for you and your family! 2. “The Grey Stuff” - If you’ve seen Beauty and the Beast (and we hope you have!) you’ll recognize “the grey stuff” from the song Be Our Guest! The beautiful minds at Disney created the recipe and added it to the menu at the Red Rose Tavern in Disneyland! It is delicious, too, and much more appetizing than the name implies. If you’re looking for a fun at-home dessert adventure to embark on with your family, this recipe from See Aimee Cook is a delicious way to start! 3. Brownie Cheesecake - Disney’s Boardwalk Bakery somehow finds a way to make things that are already delicious even more delicious...not sure how, but we’ll leave that to the imagineers at Disney! 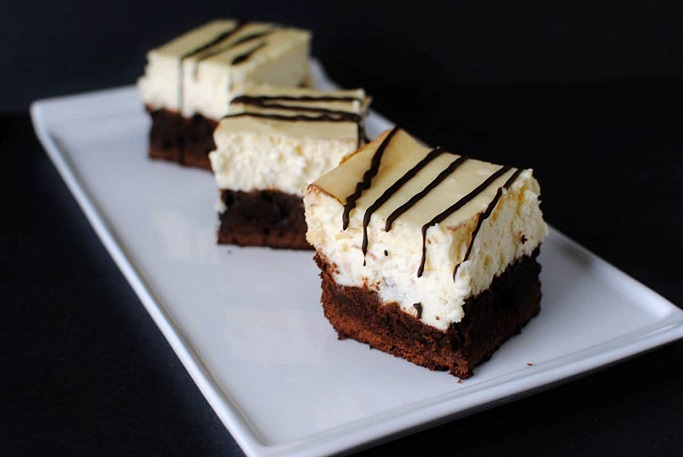 In the meantime, we’re going to enjoy these delightful cheesecake brownies inspired by the same ones you can find at the Boardwalk! Kita over at Pass The Sushi is the brilliant chef behind this recipe, and it’s definitely one you’ll want to try with the kids! 4. Churros - Although they aren’t a “Disney-exclusive” treat, they are certainly a huge hit at the Parks. Churros are just about the easiest treat to eat on-the-go, since there’s generally no melting involved. So, when we saw these adorable churros and their recipe from Gina at Kleinworth & Co. we absolutely could not pass up sharing it with you! Try them at home and you’ll be the most popular baker in the house! This list of delicious at-home recipes is sure to take care of that longing hunger for Disney treats, and will be sure to fill your home with the Magical scent of foods from the Parks! Until next week, enjoy the recipes, and Stay Magical!